Bangla Chemical - Industrial Chemicals Importer, Distributors, Supplier in Bangladesh. Home » Listing » Business Services » Bangla Chemical – Industrial Chemicals Importer, Distributors, Supplier in Bangladesh. 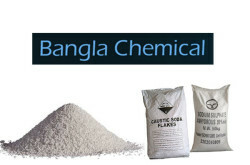 Bangla Chemical – Industrial Chemicals Importer, Distributors, Supplier in Bangladesh. 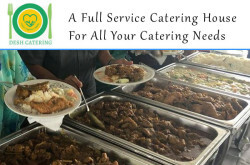 15 New Baily Road, Building # 4 (1st Floor) Dhaka-1000, Bangladesh. - Industrial Chemicals Importer, Distributors, Supplier in Bangladesh. local chemical market, different industrial and individual importers. Caustic Soda, Soda Ash, Sodium Sulphate Anhydrous, Hydrogen per oxide, Other basic and additives. Engineering Plastics, PE, PP, PS, Wax etc. Sodium Formate, Formic Acid, Preservative, Other salts and acids etc. PVC and Resin, Plasticzers, Zinc Oxide, Carbon Black, Raw Rubber, Stabilizes, and Other Fillers. CMC, Pectin, Xanthan Gum, 2 EHA, Solvents etc. Laboratory Regents, Various additives for some applications. Page updated : 09th May, 2017. Inquiry for Bangla Chemical - Industrial Chemicals Importer, Distributors, Supplier in Bangladesh.